Telecom operators may face a maximum penalty of Rs 10 lakh for call drops which will now be measured at mobile tower level instead of telecom circle, as per the new quality of service rules issued by regulator Trai on Friday. “We have proposed financial disincentive in the range of Rs 1-5 lakh. It is a graded penalty system depending on the performance of a network,” Trai Chairman R S Sharma told reporters in New Delhi. Trai Secretary in-charge S K Gupta said if an operator fails to meet call drop benchmark in consecutive quarters, the penalty amount will be increased 1.5 times and in the third consecutive quarter it will doubled. “However, there is cap of Rs 10 lakh on financial disincentive,” Gupta said. Under the previous quality of service rules, penalty on call drop was Rs 1 lakh per violation and could go up to Rs 2 lakh in case of third subsequent violation. The new rules will come in effect from October 1. Sharma told reporters that the previous rules did not address temporary issues in telecom network like non-functioning of mobile towers or geographical issues like network quality in an under-served town. “The average taken at circle level would hide many things. It did not take care of temporary or spatial problems. Therefore, we have decided that 90 per cent BTSs (base transceiver station) should meet 2 per cent call drop benchmark (in a quarter),” Sharma said. Similarly, he said, call drop during 97 per cent of time should not be more than 3 per cent on 90 per cent of mobile sites in a telecom circle during peak hours of the day. 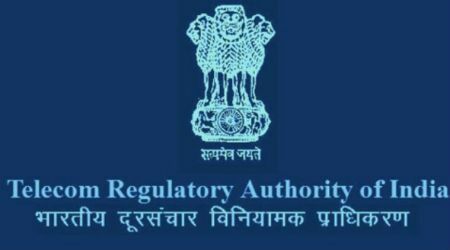 The Telecom Regulatory Authority of India (Trai) also fixed benchmark for radio-link time out technology (RLT)-allegedly used by operators for masking call drops. RLT is used for continuation of a call in case a subscriber is moving or is in base network area for short period. It is the time used for connecting call of a subscriber from one mobile tower to another. RLT parameter can be in range of 4 to 64 but the regulator has said telecom operators increasing it beyond 48 will have to explain reason for increasing RLT level. Telecom operators’ body COAI said that it is still studying the “voluminous amendment with multiple recommendations” in the new regulations, adding that consumer experience is key for the industry and new rules are in place to ensure that the operators remain fully compliant. “However, it must be noted that the quality of service provided by a network is beyond the absolute control of a network service provider,” COAI Director General Rajan S Mathews said. He said that the quality of service available from a network is dependent on a number of extraneous factors which may not only be environmental such as the number of users accessing the network at that time, area covered by the base station, whether the customer is indoors or outdoors etc. “Over and above this, issues like Right-of-Way and misinformation amongst citizens around EMF emission issues are still major problems, refusing to die down, preventing TSPs from accessing crucial sites for seamless connectivity. The courts have also recognised the challenges on this front faced by the operators,” Mathews said.